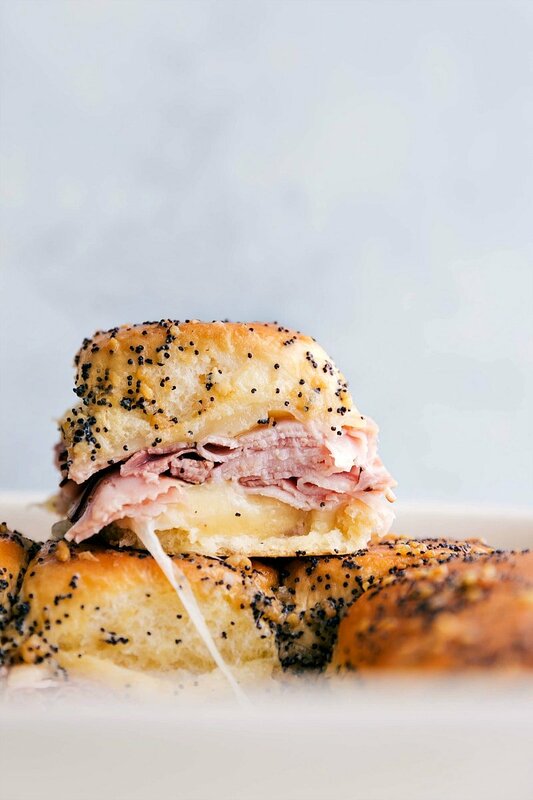 Buttery and delicious party food: ham and cheese sliders with sweet Hawaiian rolls, deli (or leftover holiday) ham, swiss cheese, and a deliciously seasoned buttery topping. As game day approaches, there’s nothing better than easy and delicious finger foods! These sliders make the perfect appetizer accompaniment for pigs in a blanket, Italian sliders, and/or this cheeseball! These sandwiches can be prepared in advance and baked right before you’re ready to serve them. 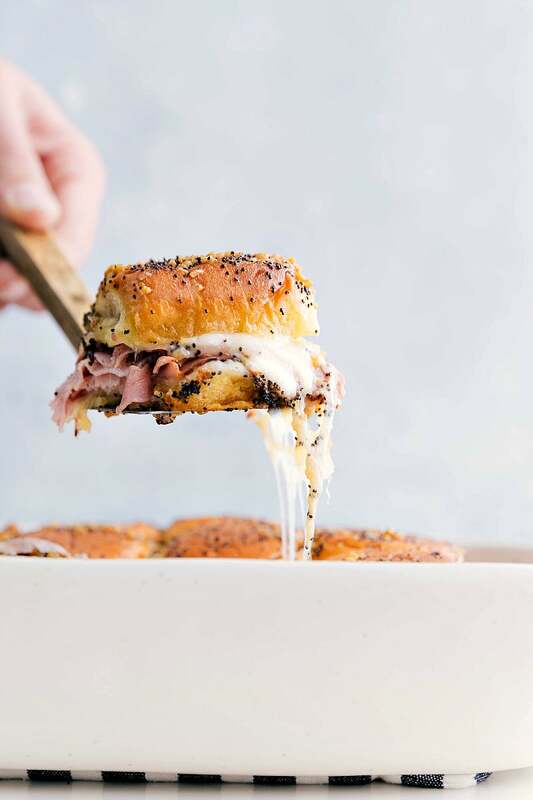 I’ve shared several slider recipes over the years, but the ones we tend to make the most frequently are these very ham and cheese sliders or these French dip sliders. So it’s definitely about time I shared this recipe with you all! 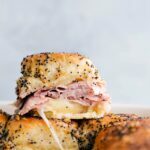 These ham and cheese sliders are ridiculously easy to make and they make the perfect game day snack. With the Superbowl rapidly approaching (how are we almost to FEBRUARY already?!) you’ll definitely want to add these to your list of game day eats. Below I’ve got step by step photos which basically tell you the entire recipe in pictures; told you these are EASY! 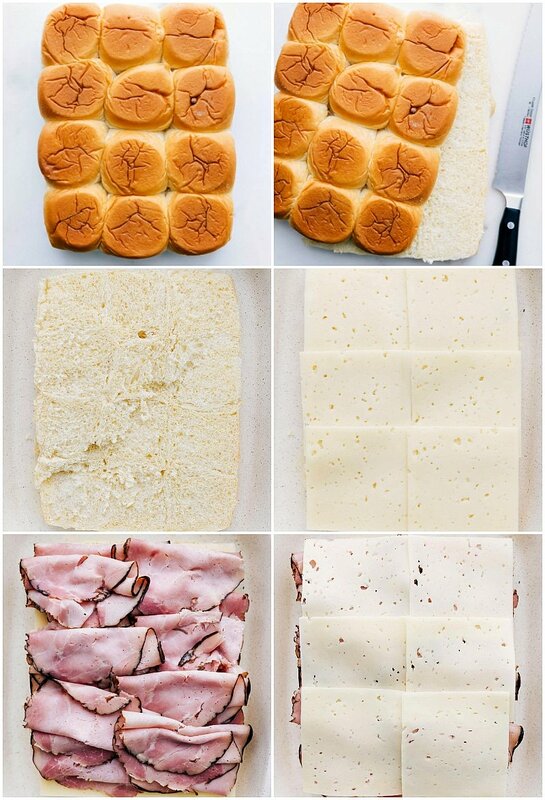 Separate the rolls: using a sharp, serrated knife, slice the rolls in half so you have a top and bottom — you want the bottom slightly thicker than the top. Add cheese and meat: add a layer of cheese, a layer of ham, and another layer of cheese. Add that top half of the rolls right back on top. Make buttery topping: melt some butter + a few seasonings + dijon mustard to a bowl. Whisk together and pour over the rolls. Bake: cover the rolls and bake! Slice ’em up and enjoy these hot ham and cheese sandwiches straight out of the oven! 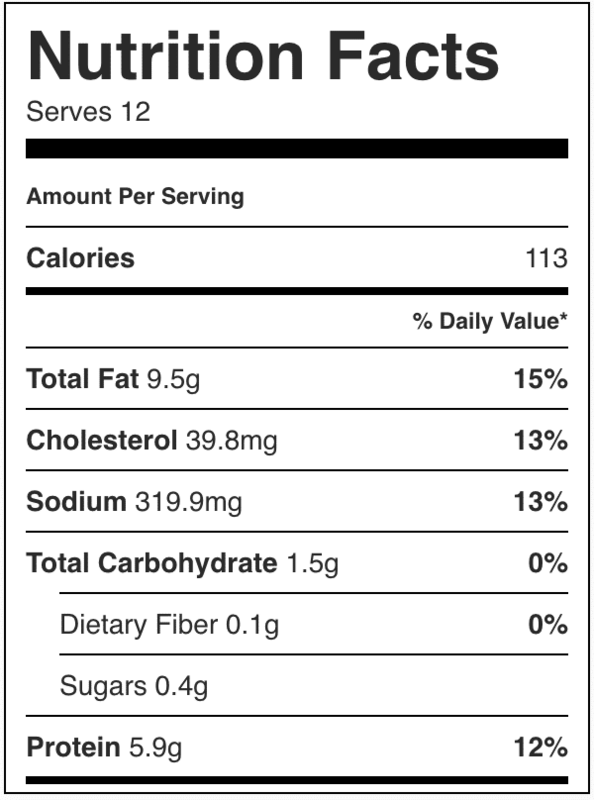 What side dish goes with ham and cheese sliders? If you aren’t serving these as an appetizer, they also make a great meal. Below are some of our favorite side dishes to pair with these sandwiches. Preheat oven to 350 degrees F. Spray a 9 x 13 pan with cooking spray and set aside. Using a sharp serrated knife, slice the rolls in half (see pictures in post) while keeping individual rolls intact. Place the bottom half of the rolls in the prepared pan. Add half of the cheese in an even layer on top of the rolls. Next, add an even layer of ham. Add the remaining cheese in an even layer on top. Add the top half of the rolls. To a microwave safe bowl, melt the butter. Set aside to to slightly cool. Whisk in the Worcestershire sauce, dijon mustard, poppyseeds, minced onion, and salt and pepper to taste (I add a good pinch of each). Slowly pour the butter mixture over the rolls. Use a pastry brush or spatula to evenly spread the mixture over the tops. Some of the mixture will pool at the bottom of the rolls which you want to make the bottoms crispy! You don't need to use all the butter mixture, we usually use just over 3/4ths of it. Cover the rolls with foil and bake covered for 20 minutes. Remove the foil and (watching closely) bake for another 3-5 minutes or until tops are slightly crispy and cheese is melty. 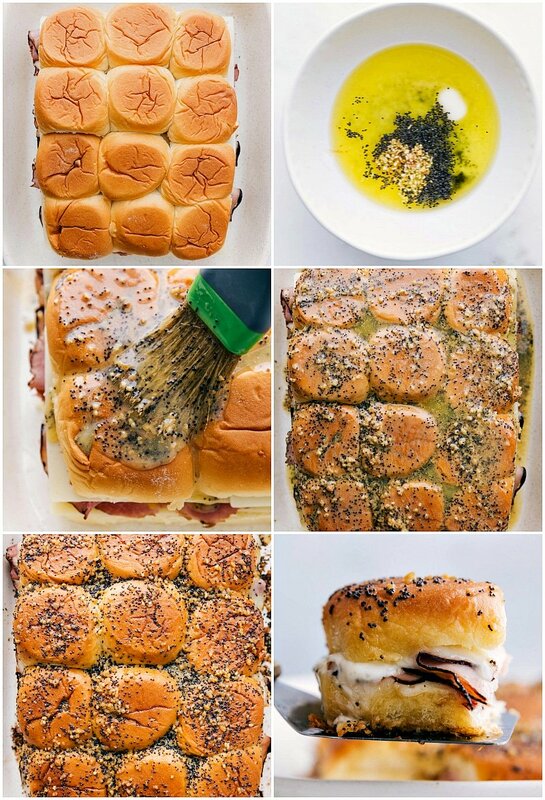 Serve these sliders straight out of the oven! since wordpress updated, and easy recipe doesn’t work anymore (at least not for me) which recipe plugin do you use now? i switched to wp recipe maker. thanks! Chelsea: Love this recipe! I made these for a work-related potluck and everyone went crazy over them! They could not believe how delicious they were, plus how easy they were to make. I also discovered that any leftovers (if you are lucky enough to have any) can be frozen and are just as awesome as fresh-baked. Thank you!! Yay! I’m so thrilled to hear these sliders were a hit! 🙂 Thanks so much for the comment and review Stephanie! love how this can be made in production line style! Just one huge slice of bread that is already pre-sliced kinda into rolls, nice and thank you!